Gothic Arch Greenhouses Provides Greenhouse Supplies Ideal for Your Needs! It doesn’t matter whether you are backyard gardener or you own a huge commercial nursery, chances are you’re going to need greenhouse supplies to take your operation to the next level. At Gothic Arch Greenhouses, we are pleased to deliver our customers access to an incredible selection of products to meet their distinct needs. Gothic Arch Greenhouses has been in business since 1946. We are family owned and operate out of a home base in Mobile, Alabama. Since our inception, we have been providing our customers with the very best greenhouses in the industry. From our backyard, hobbyist greenhouse kits to custom greenhouse designs for commercial operations and everything in between, we offer quality in everything we do. Our reputation for delivering only the best, in fact, has made us the most trusted name in the industry. When you need greenhouse supplies you will find we offer a large selection. Our greenhouse, nursery and gardening supplies are of the highest quality and lowest prices available on the market today. You can even call us directly for volume discounts on our greenhouse supplies. Aquaculture and aquaponics – When you want to try a different growing style, you will find we do deliver more than just greenhouses. We are pleased to offer our customers access to the products they need to make this type of a growing work for them. Benches – Greenhouses need special benches for holding plants. At Gothic Arch, we offer a wide selection. Cooling systems – When there’s a need to control the temperatures within a growing structure, we have the greenhouse cooling systems you need. 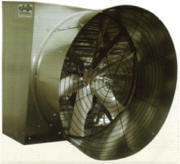 We offer such items as fans, coolers and more. We also offer instruments to help you gauge the environment and foggers and heaters to provide better control. Irrigation – Making sure greenhouses have access to water is essential. We offer the watering systems customers need to make their plants thrive. Whether you need greenhouse kits or just want greenhouse supplies to help your efforts along, we have the products you’re looking for. Just browse our extensive selection of greenhouse supplies and you’ll soon see why we are the trusted name in everything related to greenhouses. 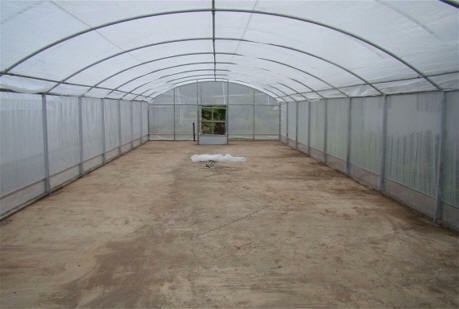 For personalized assistance with your greenhouse needs, just contact us directly.